Code Cloud is an online coding education program. 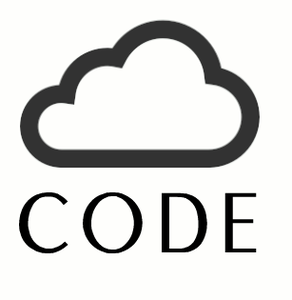 Code Cloud features video tutorials, one-on-one mentorship, hiring partnerships, and project-based learning in teams. The platform is highly social and allows users to connect with other members and join "fleets" to get projects done based on an algorithm that calculates previous interests and experience. There are interactive videos that walk through real-world development. Additionally, if you fall behind, you can purchase completed apps to work on and tweak them in a backwards-learning fashion! I've been using CodeCloud for a few months. Honestly, I would've given the site 3 stars before the latest update... and I'm the type of person who usually hates updates. This was an exception. I received an email that they'd added some new features, so I decided to check them out. The new text editor is extremely helpful when it comes to breaking down a large projects into smaller, easily readable chunks. Love the new drag&drop interface, as well! It's exactly what I needed! And I've been searching... The net effect was: when exploring GitHub and finding node projects to fiddle with, I was able to launch 2 web apps, and one mobile app based on some of the open-source Github codebases I found. This, thanks in large part to what I learned from CodeCloud. I highly recommend this site! The group learning is cool, but I think kind of takes a while for the groups to get enough member to launch (usually takes a few days to a week...). That would be my biggest critique. But, as more people discover this tool, who knows? Anyways, 5 stars! I signed up for CodeCloud to get some programming experience that I could leverage on my resume. Not only was I able to add a few apps to my portoflio, including my GHacklabs and the AirBnB/Expedia mashup, but I was also able to start my own side-business using code I worked on in my fleet (this is what CodeCloud call your teams). All in all, a great experience. The site is new, so I was able to see design updates literally on a daily basis. I actually suggested a few features (like more tooltips and linkages between the Dojo and my fleet's portal) and they added them within a days of my request. I hope they continue this kind of thing. Their customer support is awesome, as well. 5 stars. An email with these details has been sent to Code Cloud. You've already applied to this scholarship with Code Cloud.